Playground due in April 2018. 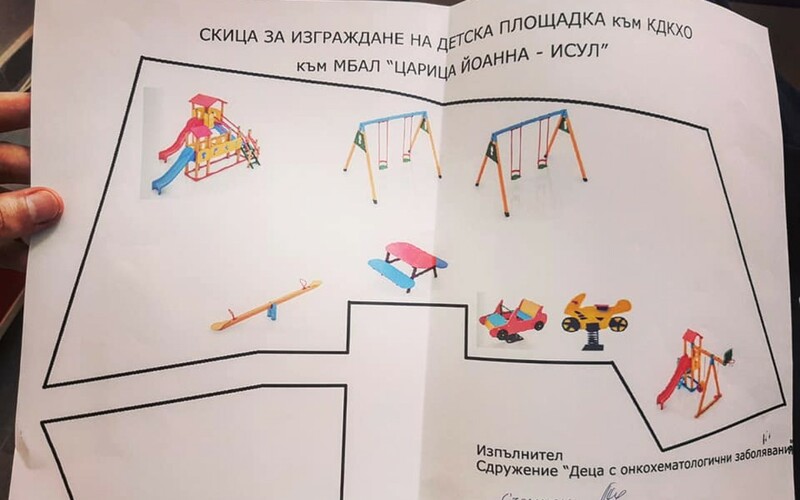 The much needed funds for the renovation of the playground in the yard of the oncohematological department of “Tsaritsa Yoanna Hospital” - ISUL have already been collected. - Game of checkers, painted on the ground. The value of the project is 16 000 BGN and the construction works will start very soon. Stay tuned.